Let’s be honest: It’s hip to be square. 1. You can add modern flair to a room without a single picture frame. This clean arrangement of canvas prints doesn’t need a single frame to make it look polished and modern. 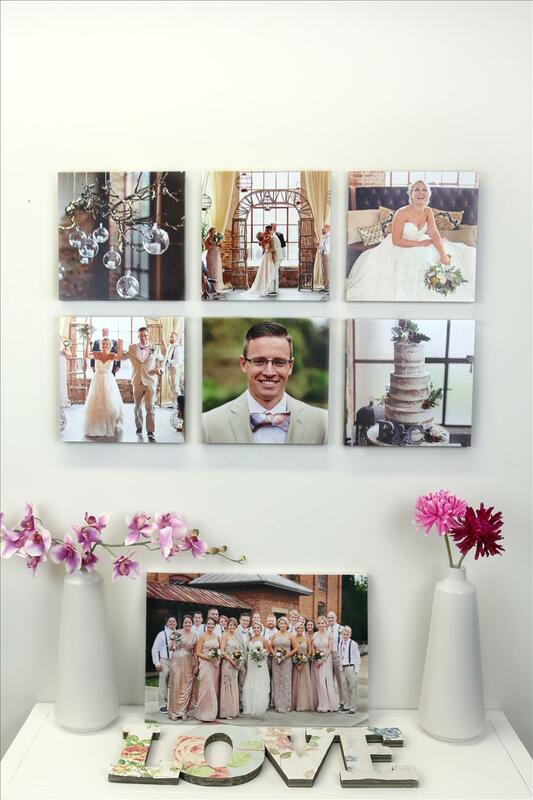 Our Canvas Prints have the tightest corners in the industry, so each piece looks precise and fully finished when on display. 2. You can tell the whole story. 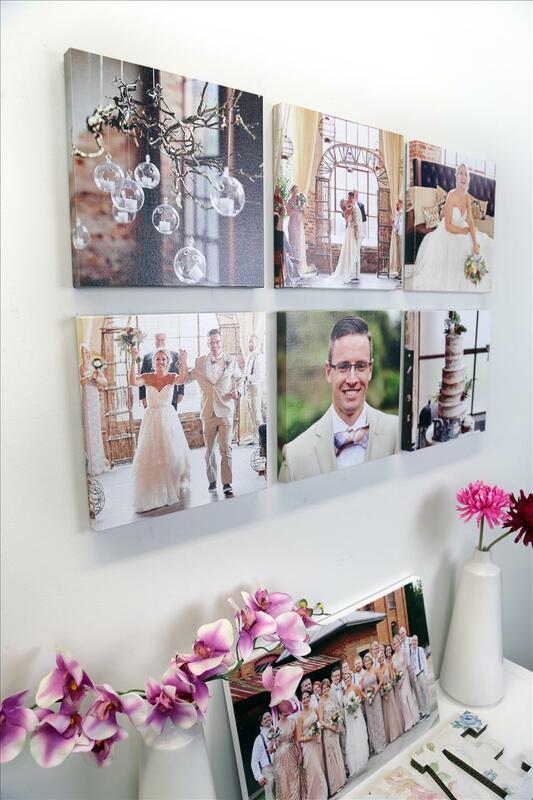 When your wedding day is as beautiful as this couple’s was, you’re bound to have a hard time choosing your favorite images to display at home. 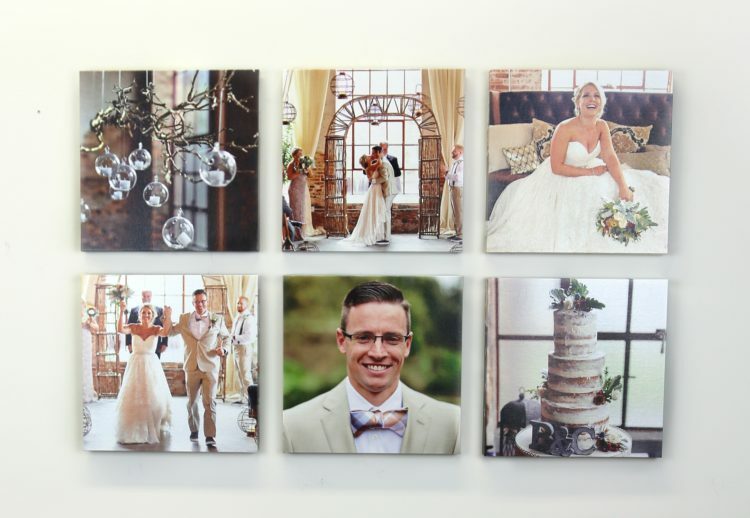 By incorporating multiple pieces into one presentation, you can create a gallery wall that tells more of a story. Detail shots (such as photos of the cake, decor, and flowers) that wouldn’t normally be on display really help tie together a group of wedding portraits. Since the arrangement of the pieces is so simple and classic, the only hard part is choosing which images to print. It’s easy as pie to add on more squares and increase the impact of the wall art. Special thanks to The Reason Photography for images on Canvas Prints. I was just wondering if the winners had been chosen yet for the canvas gallery? Thank you! Congrats to @muddysnowpro for winning our Dare to Go Square contest! Keep up the great work, everyone!